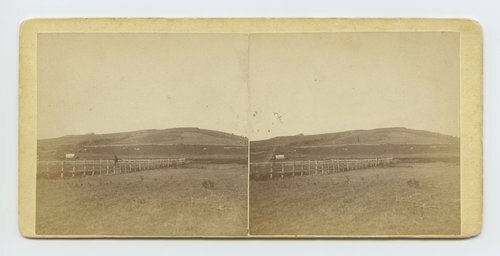 This stereograph shows Lawrence, Kansas, from Fort Union. The caption on the back of the image says it is from Fort Union State University. It is from Alexander Gardner's series, Across the Continent on the Union Pacific Railway, Eastern Division. Lawrence, Kansas, from Fort Union State University on the left. 323 miles west of St. Louis, Mo.